Six years ago on the night before Thanksgiving, Cody Nelson had a chaotic night. With four buddies, he broke into an abandoned house on the east side of St. Paul. After firing at a rival gang for beating up their friend, they returned to the abandoned house to drink, smoke and play a gun game they called "flinch." Nelson thought his gun was out of bullets. "I ended up shooting one of my best friends. Shot and killed him," he said. "I didn't shoot him on purpose." Nelson was 16. His friend, Darion Smith, was 15. After pleading guilty to manslaughter, Nelson served two years in juvenile detention. When he was released, he told a mentor he wanted more than a plan. He wanted a map to stay out of trouble. "So I could maneuver in the quickest way possible to get to point A," he said. "There is many ways to get to point B. But I need the shortest and the quickest." Many young offenders, about a third, are back in detention the same year they're released. Over half re-enter the juvenile system more than a year after release. A violent October in St. Paul and Minneapolis, including homicides, school fights and weapon charges against students, have sparked an outcry. Community leaders continue to urge youth and their families to use programs that steer young people away from violence. But officials say there is no systematic way to get them connected to programs and keep them out of the criminal justice system. State data privacy laws also prevent various agencies from sharing individual information about families using public services. Nelson spent most of his detention at Boys Totem Town in St. Paul. There he was exposed to a simple idea that has gained momentum in the city; the Circle of Peace Movement, a five-year-old nonprofit that gets St. Paul residents together to talk about violence and other concerns. A group from Boys Totem Town leaves their detention facility on Monday nights to sit in a circle with other community members at Unity Unitarian Church in St. Paul. It's something they look forward to because they get a pass to leave the facility, have dinner with the group and check in with mentors. Russel Balenger started the Circle of Peace movement five years ago, a time when violence escalated in the Rondo neighborhood. Balenger, who neighbors call "Grandpa Russel," has two grandsons he says were once involved in gang activities. One of the two survived being shot twice. Balenger was fed up and asked his neighbors to get together on a regular basis to sit in a circle, wait their turn to talk and tell each other what's on their minds. He wanted to figure out a way to stop the violence. He remembers saying "you don't want to go to another funeral." The first meeting was full of arguments, followed by a meeting on rules. At the end of the third, people were hugging each other goodbye. "We said we would come to each other's homes so that the kids wouldn't shoot up the houses because their families might be in there," Balenger said. Nearly 300 meetings later, circles are still going. In addition to funding from Unity Unitarian, the St. Paul Foundation awarded the Circle of Peace movement a $75,000 grant this year to start more circles around the city. "For some of those young people they're learning to find their voice again, they can talk to you and they don't have to feel like they're being talked down to, that nobody cares about what they're saying," Balenger said. "They have an audience of all these people that are silent while they speak and don't judge them for what they say." During a Circle of Peace session, a University of Minnesota grant writer heard Nelson's request for a "map." That inspired the Institute on Community Integration to kick off a new program called "Making a Map, Finding My Way Back." The U.S. Department of Education gave the program a four-year, $1.6 million grant in 2013 to catch youth while in detention. The new model works in a similar fashion as traditional mentorship programs, but in a more coordinated effort. The program shifts the focus to students with learning disabilities, who make up 33 percent of youth in juvenile justice facilities. 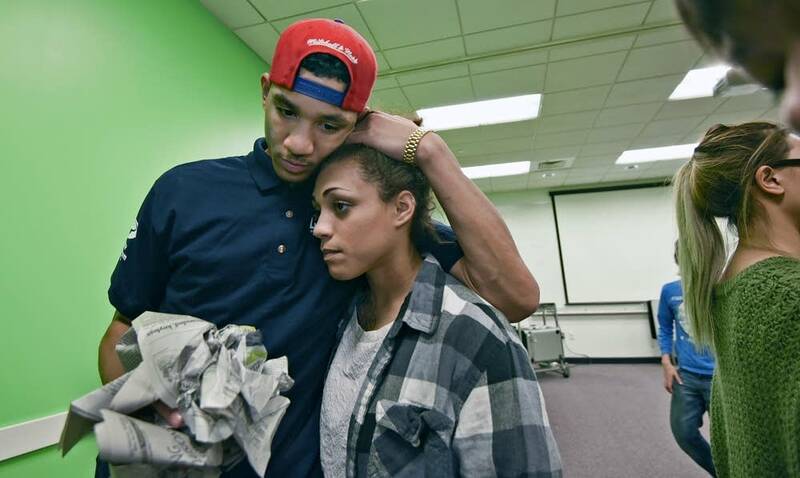 The work begins while they're in Ramsey County detention centers and continues when they go back to school. "There is a great need for youth who need this more individualized approach to keep them on track," project evaluator Eileen Klemm said. The map project has served 49 youth since its inception and currently has about 20 active members with room to serve more as long as they meet criteria. It provides mentors who commit to at least two years with the students and their families. 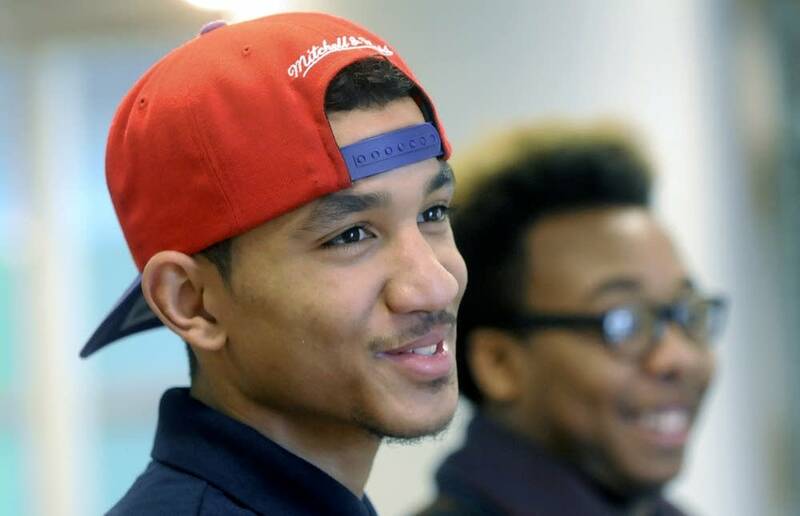 They help them find jobs and arrange college tours. Despite various efforts to make a difference in Ramsey County, juvenile crime rates appear not to have changed dramatically over the past few years. The Ramsey County Juvenile and Family Justice Center so far this year has had 776 admissions compared with nearly 950 in 2014 and 1,010 in 2013. Offenses range from burglaries to gun possession, truancy to probation violation. "Have we waved a magic wand and just made problems go away, the answer is no," said Melvin Carter Jr., founder of Save Our Sons, a grassroots nonprofit that started in 1991 to prevent youth violence. "But we've got some phenomenal, phenomenal successes, some phenomenal outcomes." Carter meets about a dozen kids at the Juvenile Detention Center once a week. Wearing khaki sweatshirts, gray pants and white sneakers, they sit and listen attentively as Carter talks about his experiences with violence in his family, how he became a sergeant with the St. Paul police department and how, they, too can beat the odds. "These kids come into this world, many of them come in a chaotic set of circumstances, born to teenagers, one parent," he said. "I believe that part of the big problem is confusion. Confusion that comes from all kinds of different directions." He teaches them tips on avoiding trouble during police stops and educates them about African-American history. "What they often find out is amazing because they think their culture is sagging their pants, they think their culture is their gangs and their tattoos," he said. "Well, that maybe some aspect of how you define yourself but you come from something much greater than that." At 22, Cody Nelson has redefined himself. Clean-cut, tall and slender, he calls himself a poet and a spoken-word artist. He met one of his life-long mentors at his "sanctuary," the Black Box Theatre of Central High School. 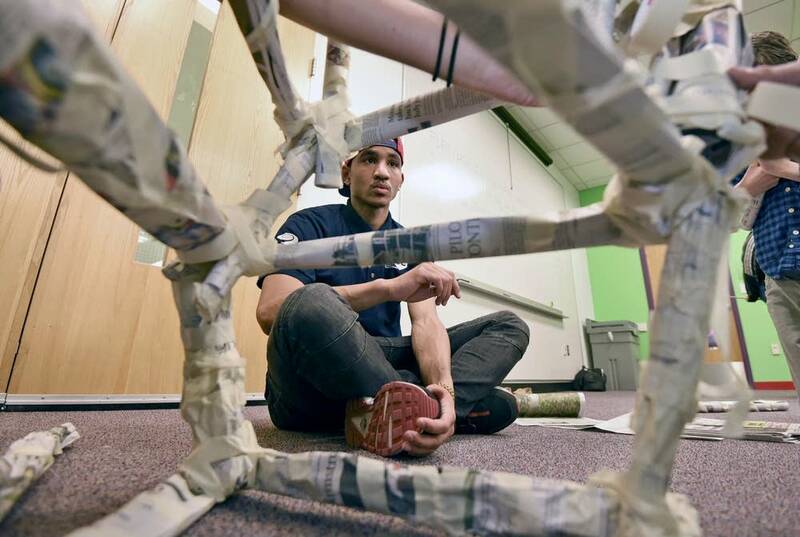 Now a freshman at the University of Minnesota majoring in youth studies and social science, Nelson works part-time as a facilitator for Science Technology Engineering Arts and Mathematics (STEAM) with junior high students at the Science Museum of Minnesota. "It takes a lot of patience and it takes a lot of integrity in yourself," he said. "You always have to keep the future in mind. This is only temporary, especially in the juvenile system. They can only keep you for so long. Now it's your choice of what you want to do once you're released." The Ramsey County Attorney's Office will kick off a community conversation about connecting youth with mentorship programs Tuesday night at New Hope Baptist Church in St. Paul. Representatives from the criminal justice system, as well as mental health and public education professionals are expected to participate. Youth and families are invited to share their ideas on how to keep youth out of the criminal justice system.